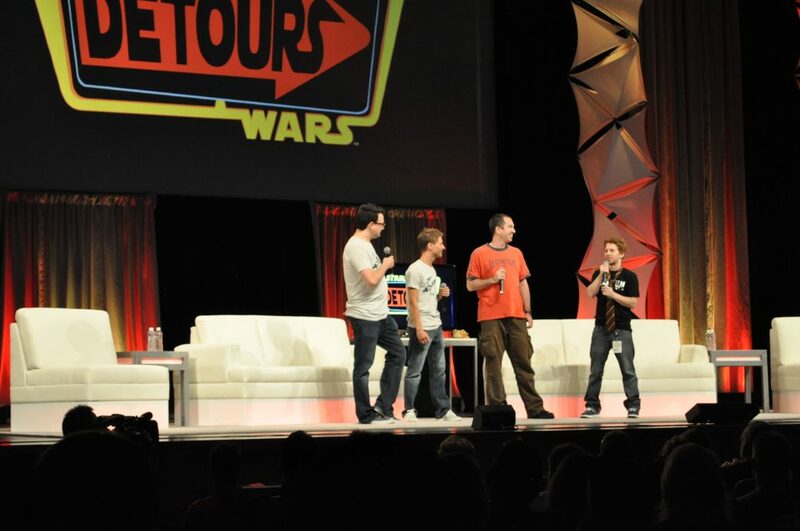 If you remember all the way back to Star Wars Celebration 2012, you might recall that Lucasfilm announced a new animated series called Star Wars Detours. It’s been nearly six years since that original announcement and the series still has yet to be released. Recent trademark filings by Lucasfilm for Star Wars Detours may point to a possible revival for the animated comedy series. The series was created by the duo behind Robot Chicken, Seth Green and Matthew Senreich, so you can imagine the context of the series. Star Wars Detours was slated to be a more comedic outlook on the Star Wars saga, one not afraid to poke fun at itself. The series allegedly had nearly 40 episodes ready with about 30 of those suitable for release. The purchase of Lucasfilm by Disney certainly changed the landscape for Star Wars moving forward. At the time of the original announcement for Detours, no other Star Wars films had been announced. Naturally, the purchase may have affected the release of the series. However, with Disney’s new streaming service on the way a revival of the series is possible and could find a new home in digital media. Not sure what exactly Star Wars Detours is all about? Take a look at the trailer previously released by Lucasfilm.